Of all of the things that hotels get wrong, few things are more infuriating than poor or nonexistent WiFi. Annoyingly, many hotels view WiFi as a profit center and provide the service at rates that can’t be reasonably viewed as anything other than a price gouge. I have been on the road for the past few weeks and have encountered a lot of issues myself. In some cases, I’ve come up with workarounds. Here are a few things I have learned along the way that I hope will help you to survive your next hotel WiFi experience. Terrible Signal. You arrive in your room and there is only one bar of signal, and it fades in and out. Forget using your mobile phone or tablet, they can’t connect to WiFi at all. So, you pull out your laptop and try to connect, but the connection keeps dropping. It’s an exercise in frustration but one that you can solve with an external WiFi adapter. 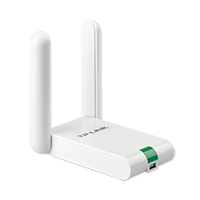 I use the TP-Link TL-WN822N. It has a more powerful antenna than the one on my laptop, and with a long USB cable, I can move it around to a location in the room that gets a better signal. Additionally, you might look for whether a wired connection is available in the room. Many hotels offer both wireless and wired connections, and the wired connection is invariably faster. No WiFi. Sometimes hotels don’t have WiFi at all. This is where having an unlocked phone with portable hotspot capability comes in handy. I carry the Moto G as my primary mobile phone, and use prepaid SIM cards that allow for unlimited data (typically 1-5GB at 4G speeds, and the remainder at 2G or 3G speeds). This allows me to use the “portable hotspot” feature to share out my mobile phone data plan to other devices. Most unlocked Windows Phone devices also support this feature. On iOS, the “Personal Hotspot” feature is available at the option of your mobile carrier. Unfortunately, most North American carriers don’t allow this feature to be made available on versions of their phones without paying extra, so an unlocked phone is required. The speeds I get aren’t as good as I typically see with a dedicated device for data services (such as a Verizon Jetpack), but for infrequent use, it’s a good solution. This does not require carrying multiple devices and subscribing to multiple data plans. Charges for each device, or only one device allowed for free. Sometimes hotels want to charge you for each and every device that you connect to their wireless network. If the WiFi is free, they may only provide access to one device. Typically, devices are authenticated by MAC address. There are a couple of ways around this problem. The first is to clone a single MAC address onto multiple devices. However, this isn’t particularly easy; it’s a relatively technical thing to do. Another option is to use a travel router. Many of these have software that can “take over” the connection you set up on your laptop, and can then share it out to multiple devices. Additionally, travel routers can share out a wired network connection if one is available, which provides faster service and less complicated to set up. 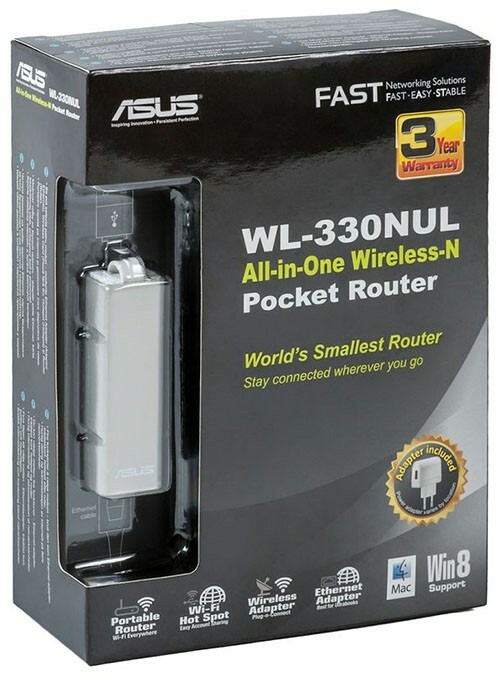 The tiny ASUS WL-330NUL travel router has scored high marks on reviews. Slow speed is “free,” high speed costs more. Many hotels advertise “free WiFi” when you’re booking a room. When you get there, you find out that the “free” WiFi is barely faster than dial-up, and you’ll have to pay more in order to do anything more than send and receive e-mail. How do hotels do this? They have crippled previously fast WiFi by deploying “traffic shaping” software which limits the speed of your connection. Fortunately, a lot of this software is badly designed and you can sometimes get around its annoying speed limits without paying extra. One of the workarounds that works for me most consistently is using a VPN service to connect to the Internet. I run my own VPN service so that I can reach Facebook and other social media Web sites from countries with censored Internet access, but anyone can buy a VPN service at low cost. Hidden free WiFi areas. Many hotels offer free WiFi in public areas of the property, but don’t expect them to tell you this. If you are prompted to pay for WiFi in your room, check the lobby, conference areas and business center before you pull out your credit card. You might find fast, free access available a short walk away. The bottom line: Hotels, like everyone else in the travel industry, are always looking for an opportunity to lard up your bill with extra charges. When it comes to WiFi, come equipped for battle. With the right moves, you could save $20 or more per day. 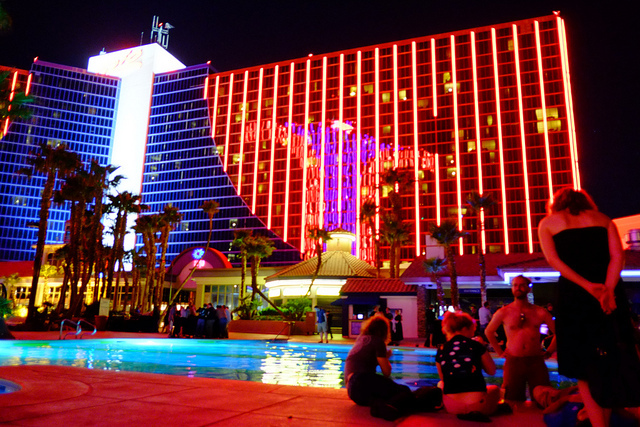 One of the most evil and insidious creeping inventions of the hotel industry in recent years has been the “resort fee.” These originated in faraway tropical destinations but have spread to many destinations that you’d never consider to be resorts. Obviously, the $63.84 that you actually end up paying is considerably more than the $37.00 that is advertised. Even though the FTC has warned hotel operators against this type of deceptive “drip pricing,” the industry continues to advertise room rates that bear little relation to what you’re actually charged. How can you fight back against resort fees? Make sure you actually get everything you pay for. Hotels will hold firm on charging a resort fee if the services that were promised are available (typically services that really ought to be free anyway such as access to the fitness center, local telephone calls and WiFi). However, you have a reasonable argument that the resort fee should be waived in the event that services weren’t available, particularly if you complained to the hotel and they failed to solve the problem. But this only works if you use all of the resort fee services so you can find problems with them before you’re charged. In my case, once I arrived in the room, I began by trying to make a free local phone call. Often, the hotel phones don’t work well or even at all. The ancient telephone was essentially inoperable. Heavy scratching noises accompanied the audio and the microphone inside the handset had become unglued over the years so my speech was muffled and nearly inaudible to other parties. I called the front desk at the Rio, who immediately agreed there was a problem and assured me it would be corrected. 3 days later, at the end of the day, a technician finally showed up and replaced the phone. I could finally make free local phone calls. I asked the technician to note in my folio that there had been a maintenance issue with the phone, and it was replaced, “just to avoid any confusion about the phone in case they try to charge me for it.” He was happy to oblige. So, when I checked out, I was able to successfully challenge the resort fee because I didn’t receive all of the services I had paid for, and it was partially (proportionate to the number of days I was inconvenienced) waived. Remember, hotels stick to their guns on resort fees, so if you are able to get anything waived, it’s unusual. I was satisfied with the result.The next time you see that a hotel charges a resort fee, start figuring out how you might be able to get out of it. The more that resort fees become more trouble than they’re worth to hoteliers, the more likely they are to disappear.